Image resized on the page, click here to see it in full. As pretty as Soul Calibur 6 can be on the PC, the Depth of Field effect used in the game is applied pretty heavily smearing all the graphical details in the background. Luckily for everyone, there's a simple but easy way to adjust the background smear by toggling the Depth of Field off while leaving all the other graphical settings as normal. Here's a quick guide on how to do it, it's written as if you have the game running on max settings. Launch SoulCalibur VI and the settings should now apply in game. The above mod is for people running the game on max settings and will only disable the Depth of Field effect. All the other post-processing effects will be left enabled. 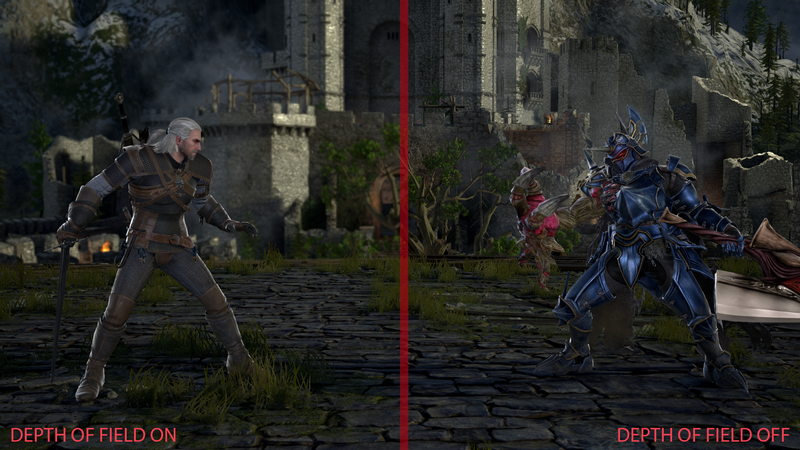 Alternatively, you can disable depth of field along with all the other post-processing effects the game uses by putting post-processing in the settings to low and leave all the other settings the way you want.